EasyEquities is giving South African investors a bundle of choices through the mechanism of a pre-selected portfolio of shares that match a theme and a risk profile. Moreover, the bundles are easily accessible and affordable. 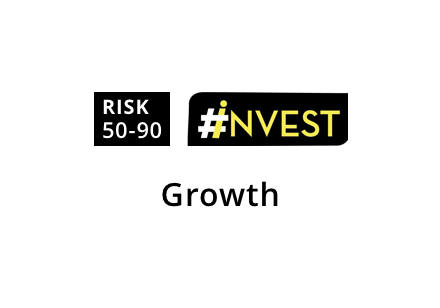 A great innovation is the availability of US listed stocks, complementing local South African opportunities, retirement funds, and tax-free savings. 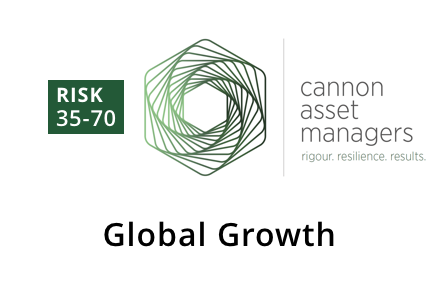 Of the bundle options available, three have been selected for overview, Validea US Growth Stock Bundle, #Invest Growth Portfolio, and Cannon Asset Managers – Global Growth. Investors choosing to invest in a bundle can easily obtain information through the Easy Equities website. As always, patience is rewarded so performance is best assessed over time. 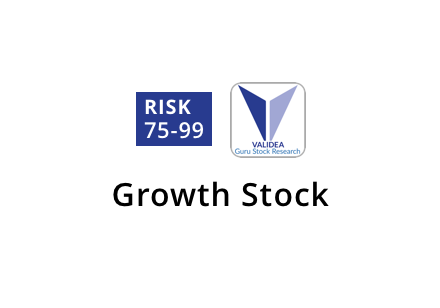 Validea is an American company started in 2003 by John Reese. His mission was straightforward, emulate the proven investment strategies of well-known names such as Warren Buffet. By using a combination of quantitative and fundamental analysis, he thought it would be possible to outperform through identifying listed companies that meet predetermined growth criteria. The bundle has ten stocks across different industries and stock market sectors, all equally weighted. Investors gain access to companies as different as Mastercard and Netflix, yet each satisfy the criteria that proven investors in history would have identified as being relevant to them wanting to own such a stock. I enjoy the eclectic choice that I have in this bundle, although one or two I would probably choose not to have if I had to select individual stocks. But overall it is a reasonable selection that offers diversity, encompassing media, retail, financial services, consumer goods, and semiconductors. There is a mix of new technology and traditional industries. My favourite stocks are Netflix, Micron Technologies, and Mastercard. Netflix has been a particularly strong performer year to date, driving the bundle return, and the company has captured investors imagination with its innovative business model and rapid growth in subscribers internationally. The bundle is at the higher end of the risk tolerance range and investors should be prepared to sit through periods when the portfolio could lose ground. As the name suggests, this is a growth orientated choice with the companies either offering no dividend yield, such as Facebook, or a modest yield, such as PepsiCo on 3.4% before withholding tax. 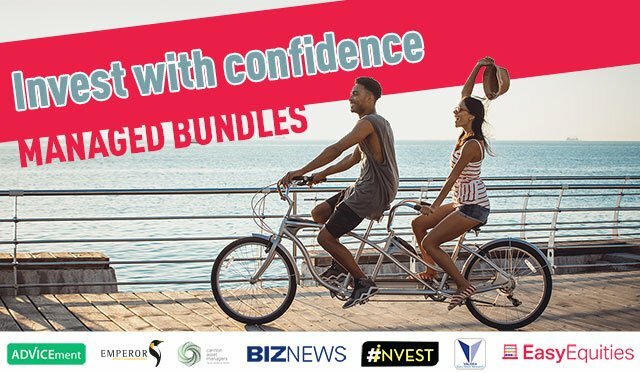 This bundle has twenty investments, including a small cash component. Designed by Cartesian Capital, there is exposure to equities and to government bonds through exchange traded funds. The bond category, generally more stable and income rich relative to equities, is over 25% of the portfolio. Inevitably, Naspers makes an appearance, being the largest single stock on the JSE, and has a weight of 12%. A quality company with a generous weighting of 6% is foodservice group Bidcorp, which today generates 90% of revenue outside of South Africa. Equity categories are quite varied, including 9% exposure to mining via BHP Billiton and Anglo American, 7% exposure to retail via Woolworths and Shoprite, 3% exposure to healthcare via Life, 3% exposure to construction via Afrimat, whilst education and training exposure is through Advtech at 5%. Comair, PSG, and JSE Limited are included, as are Alexander Forbes, Peregrine, Novus and AVI. Whilst there are nineteen securities, 50% by weight is in only five counters, of which two are the ETF’s with Naspers, Bidcorp, and Reinet almost 25% between them. Reinet, with a similar weighting to Bidcorp, offers indirect exposure to British American Tobacco as this company is almost 70% of the net asset value. The choices made are interesting and varied although there are some I’d prefer not to be exposed to individually. Several of the counters have been under pressure of late. Investors should note that there is a three-year investment horizon. There is a low bundle fee of 0.65% for this fund, largely because it is exposed to various exchange traded funds and notes. This is for investors seeking varied international investment exposure and a good option to consider. The fund is unconstrained but whilst the manager can manage the portfolio aggressively, the vehicles invested in are essentially passive. Categories include equities, real estate, bonds, and commodities. More than 80% of assets have to be outside of South Africa so investors should consider the currency implications of that as the rand is not the relevant foreign exchange benchmark. The largest weighting is the Satrix MSCI Emerging Markets ETF at 17% followed by the Satrix MSCI World ETF at a similar percentage. Other platforms include Coreshares, Sygnia, and Deutsche, and ABSA through the NewGold ETF which tracks the rand price of gold. The funds I find particularly interesting are the Sygnia Itrix Euro Stoxx 50 ETF, which mirrors the Euro Stoxx 50, the Coreshares S&P Global Property ETF which gives exposure to 40 global property companies in developed markets, and the Deutsche Bank MSCI China TR Index ETN, which tracks the performance of the MSCI China TRN Index. The China index gives investors exposure to exciting Chinese companies such as Tencent, Alibaba, and Baidu, that have a dollar listing through B shares on the Shanghai Stock Exchange or the Shenzhen Stock Exchange (in Hong Kong dollar) or listed in Hong Kong dollar through H shares on the Hong Kong Stock Exchange.